Atlantis Aquaventure Station is a station on the Palm Jumeirah Monorail. 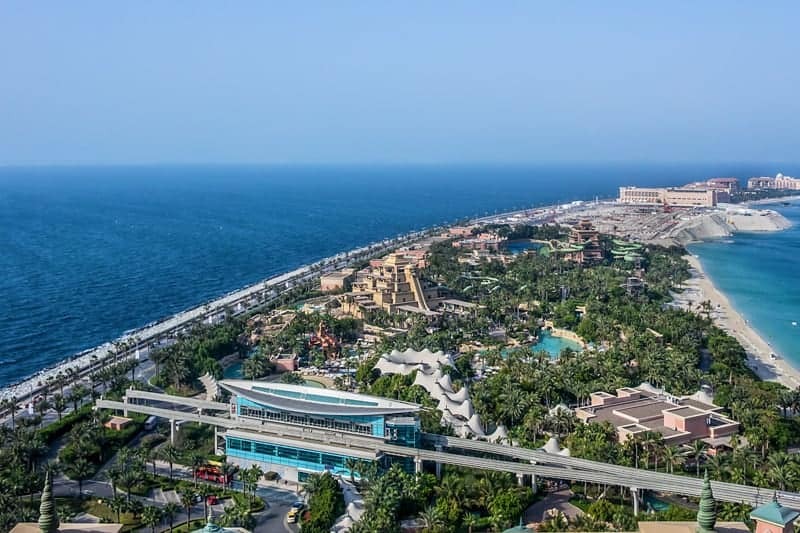 It is situated on the crescent of the Palm Jumeirah, right next to the Atlantis hotel and the Aquaventure waterpark. 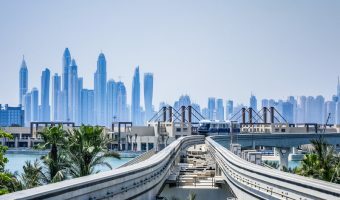 Three stations on the Palm Jumeirah Monorail are currently open; Atlantis Aquaventure Station, Ittihad Park Station, and Gateway Station. Ossiano (0.1 miles) - Upmarket seafood restaurant at Atlantis the Palm. Features an incredible dining room with floor to ceiling views of the hotel’s aquarium. Ayamna (0.2 miles) - Lebanese fine dining restaurant at Atlantis the Palm. Live music and entertainment. Indoor and outdoor seating. Map showing location of Palm Jumeirah Monorail – Atlantis Aquaventure Station.